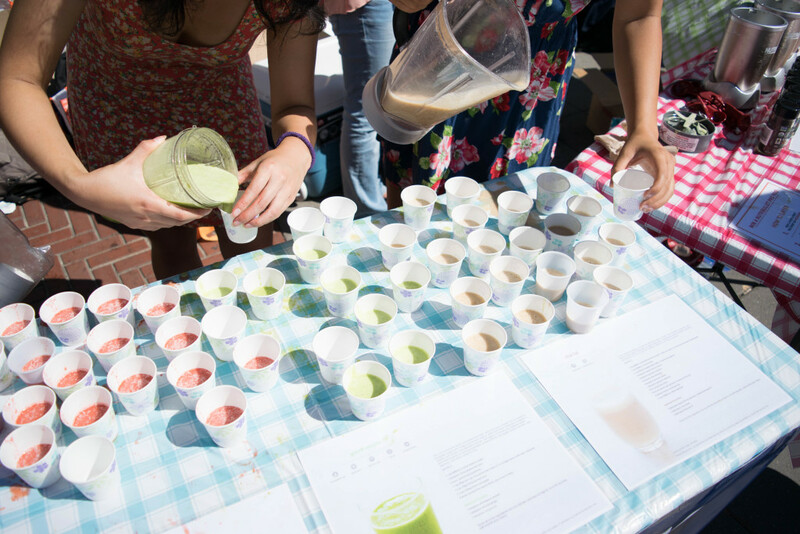 On October 2, 2015, Spoon University at Berkeley partnered up with food blogger Tess Masters (aka The Blender Girl) for her Smoothies College Tour to host a smoothie blast bar and taste talk for Cal students. 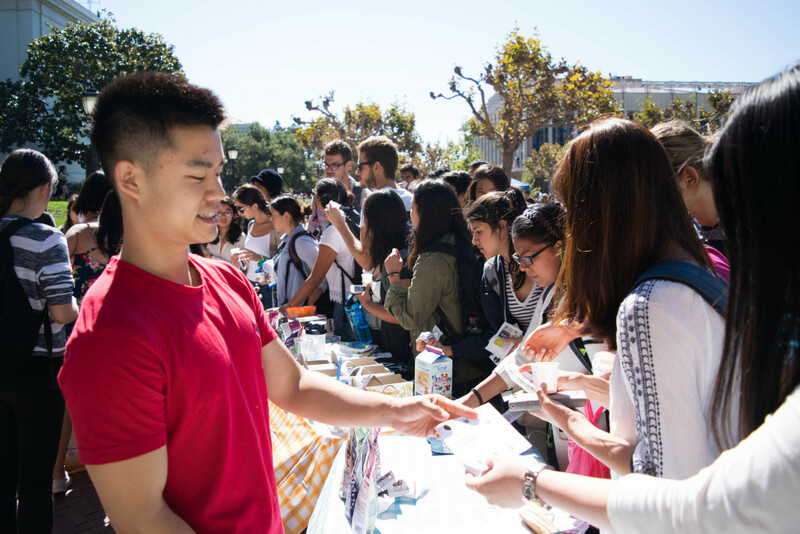 From 12 pm-1 pm, volunteers from our team joined Tess to man her smoothie bar next to Sather Gate. 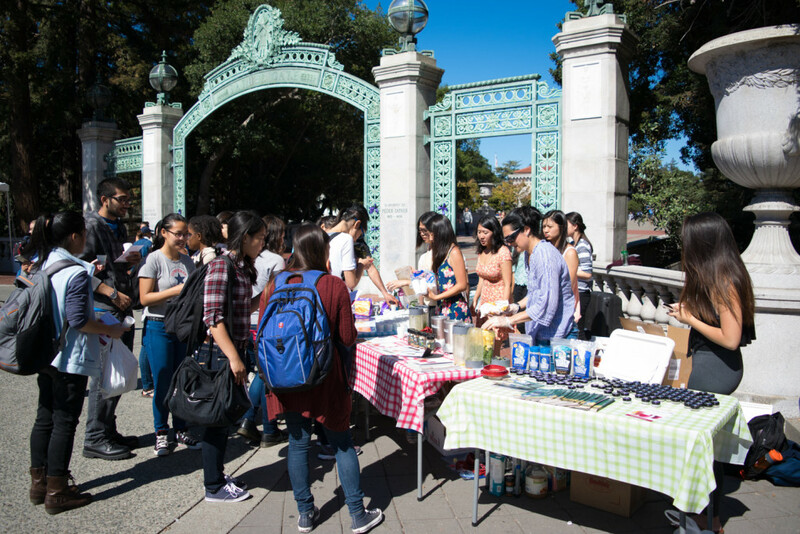 It was a sunny Friday afternoon, the perfect weather for Cal students to stop by between classes to fuel up and refresh with a free smoothie sample. Using fresh produce and other natural ingredients, Tess and our team whipped up three kinds of smoothies for students and visitors to enjoy: Chai Tai, Green Mojito and Strawberry Heat. 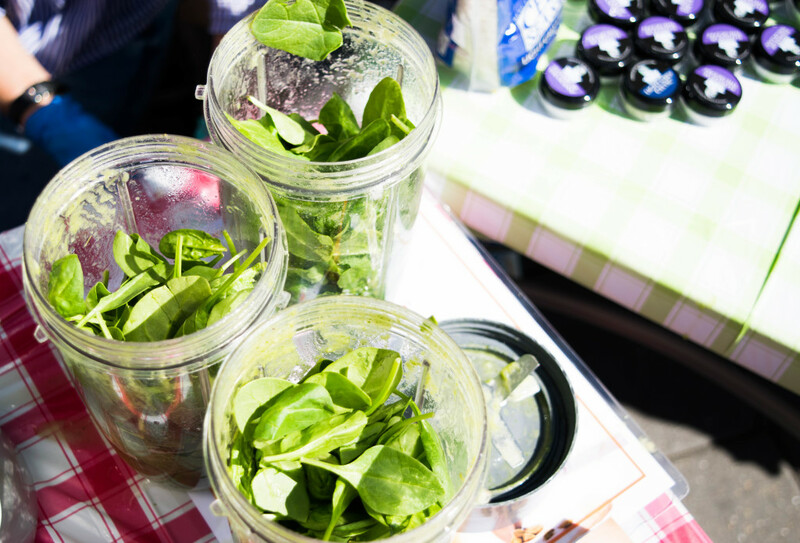 Students who sampled them said they were surprised at the intensity of the flavors — some of them bold and rather unexpected for a smoothie, such as the heat from red bell peppers, mint and cayenne. If you’re curious about how to recreate the smoothies and more of her incredible recipes, make sure to check out The Blender Girl Smoothies app and her cookbook. Tess has partnered with Nutribullet, Driscoll’s, Earthbound Farm, Silk, Navitas Naturals, Temple Turmeric, Nutiva, Celtic Sea Salt, Frontier Coop and Kitchen IQ. She brought hundreds of freebies from these brands and gave them out at the booth. Most were gone in a matter of minutes — truly showcasing the power of the words “free” and “food” on a college campus. 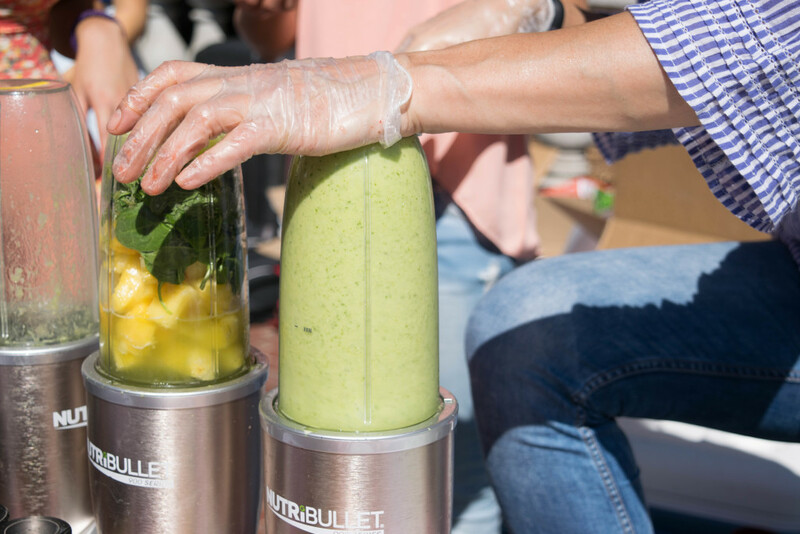 During the afternoon, people could also stop by the booth to enter a giveaway for a one of two Nutribullet blenders by snapping a shot of them in action and tagging them in an Instagram post. We’d like to extend our (jealous) congratulations to the lucky winner: @aspoonfulofcriticism! Later that afternoon, Tess also hosted a Taste Talk in 20 Barrows. The event was decently well attended, with Spoon team members and their friends as well as other Cal students and Berkeley community members present. 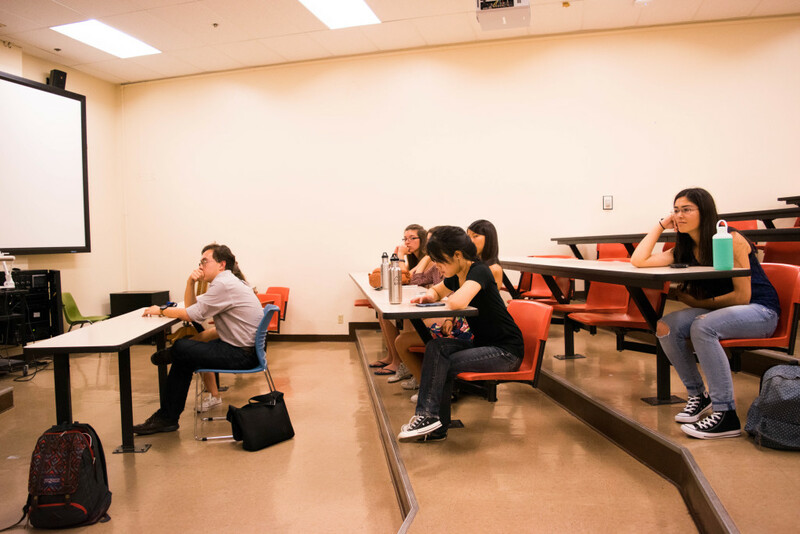 Rather than lecture about the benefits of healthy food and living, Tess opted for a more #realtalk approach. She did cover some elements of a healthy diet and how smoothies can help create a that diet for some people, but she also gave a lot of advice about working hard, being successful and becoming your own person. 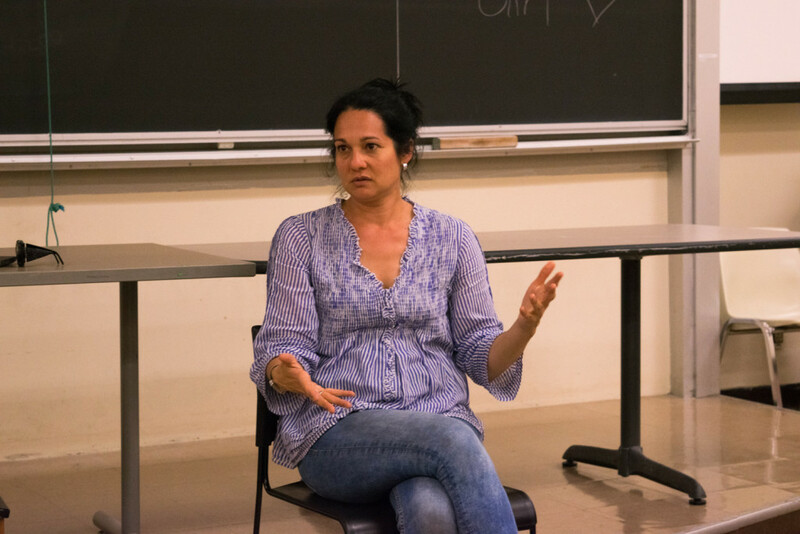 It was an immense joy and honor to have Tess Masters, the Blender Girl, table and talk on our campus. We are already, without a doubt, looking forward any opportunity of welcoming her — and any other food blogger — to our campus again in the future.